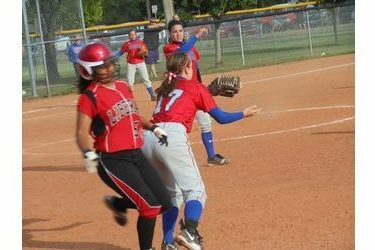 Liberal wins a Western Athletic Conference softball game for the first time in four years. Liberal swept Dodge City Tuesday 6-5 and 5-4 at the Liberal Softball Complex. In game one, LHS plated three in the seventh inning. Riley Hay scored the winning run in walk-off fashion. Ramey Petty banged out two hits in the win. Dodge scored on in the first and four in the fourth and LHS plated three in the third and three in the seventh. In game two, Emily Bayouth’s homerun and double helped power the Lady Skins to the win. Liberal scored two in the first, one in the third, and two in the fourth while the Demons scored two in the first, one in the second, and one in the fourth. LHS is 9-11 while Dodge City has one win this season. Regionals are next week.